Italy on Tuesday rejected remarks by UN human rights chief Michelle Bachelet about its treatment of migrants, calling them "inappropriate, unfounded, unjust". The foreign ministry, in a long and sharply worded statement, was responding to a speech in which Bachelet, the former president of Chile, accused the populist government of "political posturing" by denying entry to NGO rescue ships. 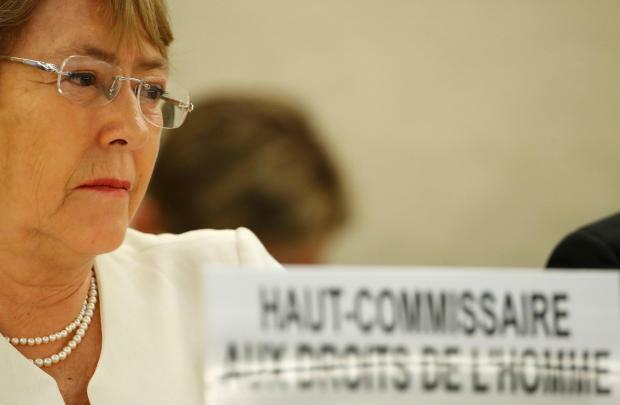 In her first address in her new position in Geneva, Bachelet also announced a UN team was being sent to Italy to assess "the reported sharp increase in acts of violence and racism against migrants, persons of African descent and Roma". The foreign ministry statement rejected what it called the "presumed negligence by Italy in the area of human rights of migrants" and said it had for years borne much of the responsibility for saving thousands of lives in the Mediterranean. The ministry statement followed sharp criticism of Bachelet on Monday night by Interior Minister Matteo Salvini, who is also head of the anti-immigrant League party.